Cambridge International Academy’s primary goal is to assure that your child experiences a positive and productive environment in which he/she will self-actualize and grow academically. The staff at Cambridge Academy will work with each student individually to help the student achieve success. We offer online courses that allow the student to work at home with the same quality of education that they would receive in our classrooms. All courses offered at Cambridge Academy Online adhere to the overall and specific expectations that are written by the Ministry of Education in Ontario. Students are able to interact with teachers in many ways. Through Moodle, we offer a number of communication tools that allow for students to receive feedback and help very quickly. These include email, instant messaging, assignment feedback and testing feedback. Students and teachers are also able to enter a Whiteboard classroom in which students and teachers can interact at the same time if the student requires assistance in any course. Students and teachers are able to communicate with one another through forum posts. The Principal and administration team of Cambridge International Academy, are able to monitor attendance and any problems within the courses through log in reports created through Moodle. The administration team will monitor attendance and able to intervene so that there are no barriers to the learning process. The student is able to contact the administration team and principal at any time through email and phone. The parents and guardians of students under the age of 18, will be given access to the student’s online courses. This allows parents to take part in their child’s learning progress. Parents will have access to report cards, and are able to have email and phone contact with the Principal and administration team at Cambridge International Academy. Cambridge International Academy is committed to respecting all students. 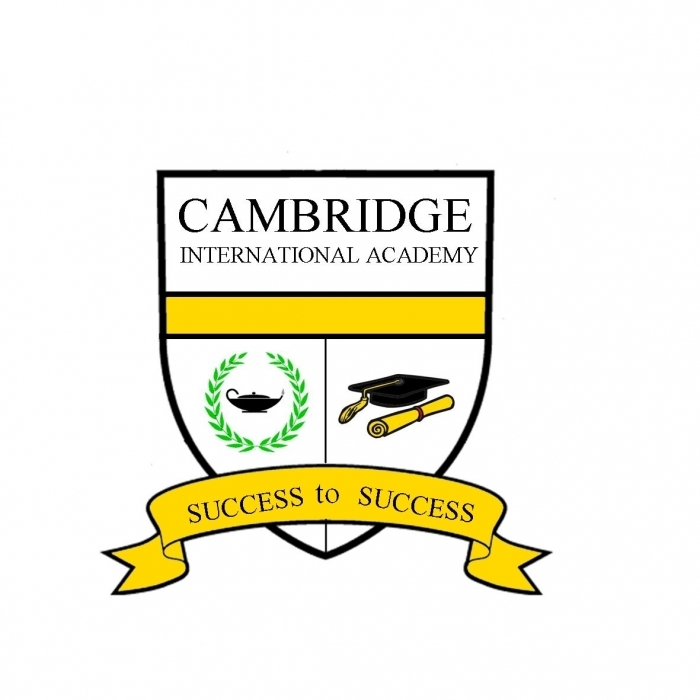 It is an understanding that when students register to take an online course with Cambridge International Academy that they will treat staff with respect as well. Students will be required to respect all staff, follow rules and policies set out by Cambridge International Academy, they will respect the learning platform. Students are required to take part in their online course on a regular basis. It is expected that students will login to Moodle on a regular basis. If students choose not to they will be jeopardizing the credit they are enrolled in. The Principal of Cambridge International Academy will maintain attendance records through the login records on Moodle. Due to the continuous entry and exit model of online learning, there is no prescribed term or semesterized calendar. Each online course takes 110 hours for the student to complete. This typically takes 4 months if the student logs on for 1.25 hours a day. But this is up to the student. Students who leave a course before completion must communicate this action with the Principal. Students who have not completed their course within Ten months from the day of enrollment in that course, will be unenrolled from the course. Plagiarism occurs when a student presents another person’s work as their own. This is not acceptable at Cambridge International Academy. Students are encourage to use strategies to avoid plagiarism, practice paraphrasing and become well versed in MLA or APA referencing. Teachers have experience and are able to detect when writing does not come from the student. The consequences for plagiarism or cheating can range from a mark of zero to suspension. Each case will be dealt with on an individual basis. The Ontario secondary school program is based on a credit system. Full credit courses are 110 hours in length. A credit is granted by the Principal on behalf of the Ministry of Education in recognition of the successful completion of the expectations of a 110 hour course that has been developed or approved by the Ministry of Education. Evaluation of students will be consistent within a given course. In order to ensure that assessment and evaluation are valid and reliable, and that they lead to the improvement of student learning, teachers will use assessment and evaluation strategies that address what the student will learn and how well they learn. They will be based on the categories and on the achievement level descriptions given in the achievement chart that appears in the curriculum policy document for each discipline. They will be varied in nature, administered over a period of time, and designed to provide opportunities for students to demonstrate the full range of their learning. They will ensure that each student is given clear directions for improvement. They will promote students’ ability to assess their own learning and to set specific goals. The achievement chart for each discipline is included in the curriculum policy document for that discipline. The chart provides a reference point for all assessment practice and a framework within which to assess and evaluate student achievement. The chart is organized into four categories: knowledge and understanding, thinking and inquiry, communication and application. The achievement chart describes the levels of achievement of the curriculum expectations within each category. The descriptions associated with each level serve as a guide for fathering assessment information, to enable teachers to make consistent judgments about the quality of student work, and to provide clear feedback to students. In order to earn your credit, you must successfully complete all work and then write and pass the final test. You will be given two attempts to write your final test. Once you have finished all course work, your teacher will get in contact with you to book your final test. An appointment will be made with you at a local area with a Cambridge International Academy test supervisor. The report card provides a record of the student’s achievement of the curriculum expectations in the form of a percentage grade, which reflects the corresponding level of achievement as described in the achievement chart for the discipline. A final grade is recorded for every course, and a credit is granted and recorded for every course in which the student’s grade is 50% of higher. The Ontario Student Record is the official school record for a student registered in a school in Ontario. The OSR contains report cards (both midterm and final report cards), transcript, community hours report, Ontario Secondary School Literacy Test results. If the student is taking the most courses at another school, the student’s OSR will reside with that school. An official, original Ontario Student Transcript is the official record of your secondary school academic achievement. The transcript lists the courses you have successfully completed with Cambridge International Academy, the final mark you earned and the credit value of the course.